The full selection of official art re-released by Nintendo a few days ago now has its very own permanent home here at Zelda Informer in our Ocarina of Time 3D Official Art gallery page. 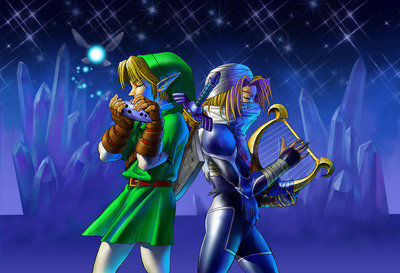 Click the in-text link, which has also been added to our Ocarina of Time homepage, to visit the gallery and browse the artwork to your heart’s content. We’ll be gradually expanding our Ocarina of Time content even further in the coming months as we approach the remake’s launch on June 19, at which point we’ll kick off an in-depth Ocarina of Time 3D walkthrough, done in the same style as our Wind Waker and A Link to the Past guides. For now, though, kick back and enjoy the game’s official art pack, as well as our screenshot gallery.